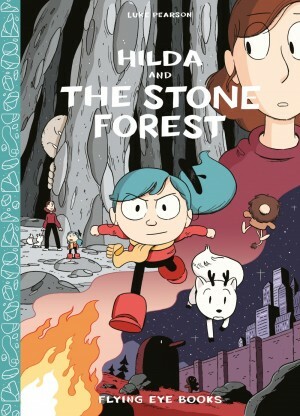 By any standards the idea of teaming nine year old scientific genius Lunella Lafayette with a savage dinosaur dragged through time was a strange one, but in BFF Brandon Montclare, Amy Reeder and Natacha Bustos pulled it off with considerable charm. Having determined that she possessed the Inhuman gene, Lunella’s greatest fear was that she would be exposed to the transforming Terragen Mists, and BFF ended with her cocooned within an egg after exposure. What’s the difference when she emerges? 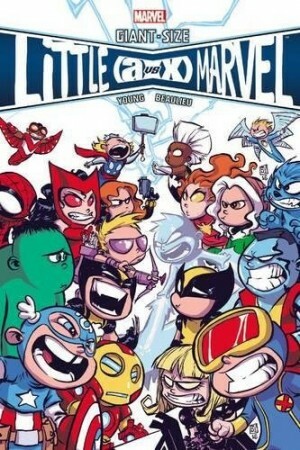 Well, it’s clever, and it occupies the opening two chapters. 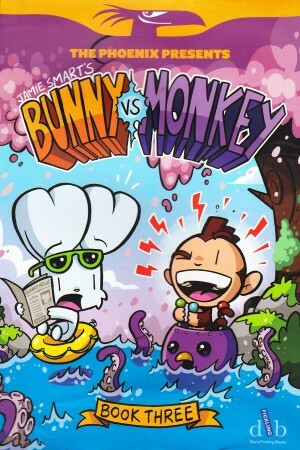 The first is drawn by Marco Failla, who uses a more obviously traditional animation style of cartooning that would look okay in isolation, but fails to match the detail and character interpretation supplied by Bustos. A matter dealt with well throughout this series is the utter frustration felt by a nine year old genius at having to attend school and play dodgeball. Every day is a humiliation, but compensating for this is that Lunella finds her release being the neighbourhood superhero. 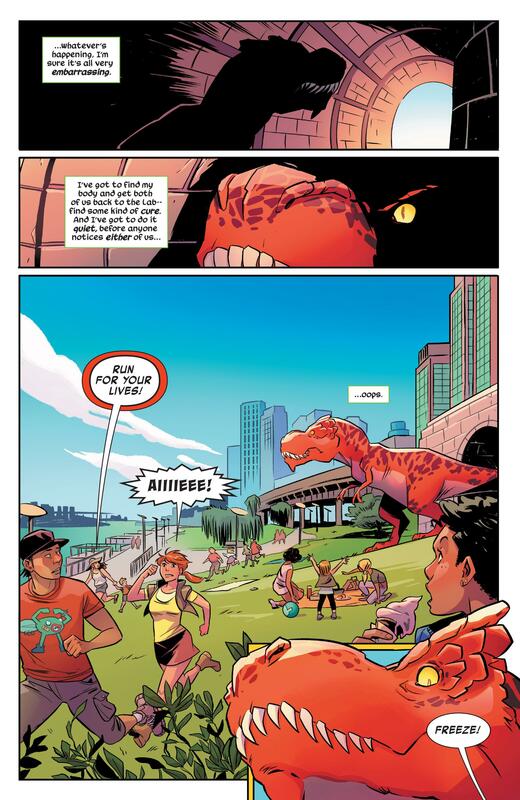 It’s not many ordinary criminals who’re going to face off against a thirty foot dinosaur, and for the more adventurous Lunella has her own bag of tricks. She also now has her own arch-enemy as well, in the form of Captain Kree, alternatively Mel-Varr, son of the alien Kree’s mightiest warrior, yet himself unable to pass the entrance tests for the military academy. As the Inhumans are the Kree’s enemy he figures he’ll take a shortcut by defeating the weakest of those affected by Terragen Mists. Unfortunately, even that’s beyond him. 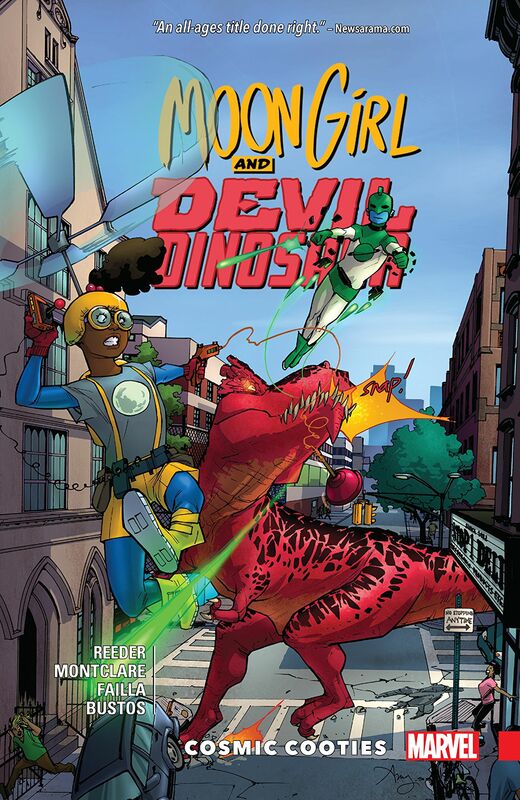 Superhero comics are traditionally about fighting and saving people, and there’s some of that here, but strange as it might seem with that title, Moon Girl and Devil Dinosaur is very much a character based series. 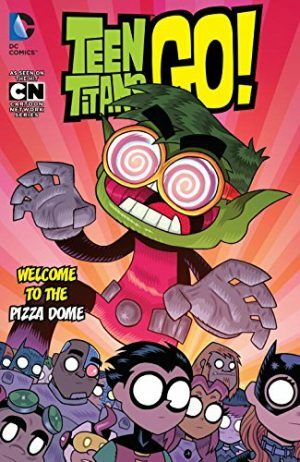 It’s Lunella’s intrinsic charm and likeability that carries it through, with all three creators responsible for ensuring that’s the case, the writers with their dialogue and Bustos with her emotionally strong illustration. They also teach us that sometimes violence isn’t the answer to all problems. Sometimes that could be winning the Lego League. So, Cosmic Cooties? More of what’s already made the series great, a nice guest slot from Ms Marvel, a good ending, and a lead into The Smartest There is. Wonderful again.